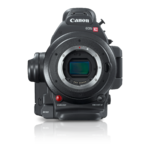 The Canon EOS C100 Digital Video Camera is the latest addition to the Cinema EOS family, bringing together the renowned technology of Canon CMOS sensors, DIGIC DV III Image Processor, and EF lens compatibility in a smaller, lighter body. 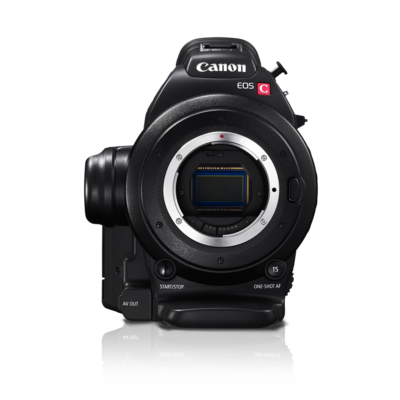 Modular and compatible with a host of Canon and third-party accessories, the EOS C100 brings true cinema quality to independent event videographers and video production organizations. 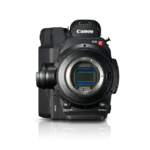 The EOS C100 sports the Super 35mm Canon CMOS Sensor and Canon DIGIC DV III Image Processor of the C300 and records at 24Mbps using an AVCHD codec for easy integration in existing production workflows. 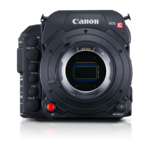 Operability and customization make the EOS C100 an ideal camera for one-person operation while providing expanded professional capabilities such as HDMI output with embedded Time Code, support for external recorders, remote operation, and complete manual control over both video and audio recording. Pair the powerful and portable EOS C100 with the full range of Canon EF, EF-S and EF Cinema lenses, from fish-eye to macro to super telephoto, and make this expanded vista your new starting point on your cinematic adventure. LensInterchangeable: EF mount for compatibility EF, EF-S and EOS Cinema lens systems (non-PL).